I always wanted to document this so that it will help for my next XenApp/XenDesktop deployments but I never did. As a result , I was always having to refer my previous customer environments or As-Built documents for this information which was quite a pain. Well, that’s gonna change today as I am going to put this up on my blog so that it becomes my quick and easy reference place. As mentioned, this is going to be the baseline policy-set upon which you can build yours with any special policies pertaining to your environment, Also, all the settings that I have mentioned here may not be applicable or work for you due to parameters such as AV version, XenApp version etc etc. Please note that some of the settings found in newer UPM versions aren’t listed here as well. I will continue to update it as Citrix releases new UPM versions but this should give you a good start nonetheless. Issue Manifestation – Delay of 20-25 seconds on ” Please wait for Citrix User Profile Manager” and this was consistent. I am partially to blame for this issue as I had turned OFF Profile Streaming when I had my users complaining that the logoff was taking a little while. Now i need to figure out what is causing the logoffs to take roughly 10 seconds to complete. Already looked at the AV side of things and i have the required Exclusions. Hunt continues and will update with the findings.. Install XPERF from the Windows SDK for Windows 7 and .NET Framework on the slow boot or logon computer. Hint 1: It is possible to install only the Windows Performance Toolkit from the Windows SDK. Hint 2: I suggest installing the WPT in an X:\XPERF directory rather than the default directory recommended by setup. It’s easier to access and copy files in and out of, and change paths, to the short-labeled directory. Hint 3: Once installed on a computer, the XPERF installation directory can be copied to other computers that you want to capture ETL traces from or view ETL traces on. There are no external files, DLL registration or registry changes required to make or view a capture. Make a copy of the X:\XPERF directory and copy at will. 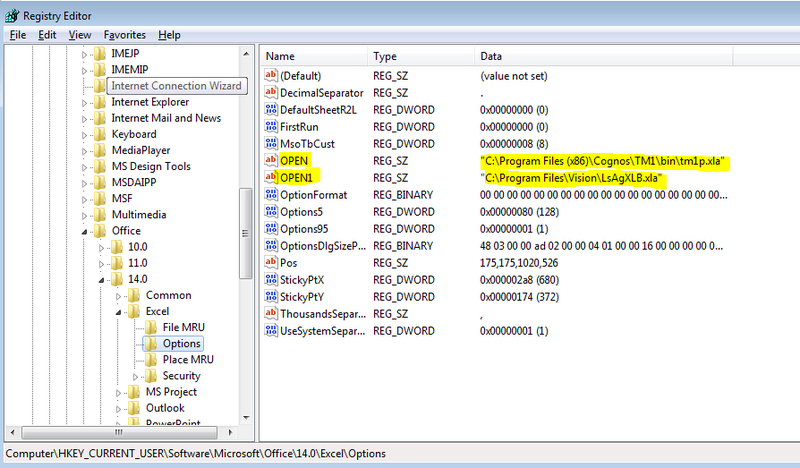 If taking a network trace on a 64-bit computer, enable the following registry key and reboot before capturing ETL data. This prevents kernel mode data from being paged out of memory. Logon as an Administrator of the computer you want to trace (either a local Administrator or Domain Admin account that is a member of the local machine’s Administrators group). Stop tracing at 10 seconds after disk and CPU utilization fall below a certain threshold after user logon. Increase the value for “-postbootdelay” as required to troubleshoot user desktops that are unresponsive to mouse and keyboard input post boot. Press CTRL+ALT+DEL and then Switch User. Logon with the user account experiencing the slow user logon to reproduce the issue. Close the slow logon user session and the admin logon session opened in step 2 as required. IMPORTANT: The double “-stop” call in step 5 is not a typo but is required. The first “-stop” terminates kernel tracing. The second “-stop” terminates user mode tracing. Note: You can also stop the trace by using Switch User to return to the admin user logon established in step #2 and running the same XPERF stop command in the elevated command prompt used to start the trace. This results in a larger, longer trace and requires that you discern the different logons encapsulated in the trace. Send the MERGED.ETL file to Microsoft or an Independent Solution Vendor (ISV) for analysis, or review it yourself.By default, the MERGED.ETL file will exist in the XPERF installation directory, which by default is %systemdrive%\program files\microsoft windows performance toolkit directory or if you followed our recommendations early in the doc, the c:\XPERF directory (that is, the XPERF installation directory). I am now going to talk about one of our customer environments where that had a Citrix XenApp 6.5 deployment and the user logons used to be around 90 sec. I agree that this isn’t such a bad situation to be as I have seen even worser logon times. EdgeSight Reports – showed no problems whatsoever with the Group Policy processing, logon scripts or printer mapping scripts. The issue seems to be well before the GP processing and scripts are run. What else is there to look at? Autoruns – This gave me a hint at what could be going wrong towards the end of the logon process. It was an edocs print pro process. Turned that off and tried a logon. Bingo, the final 15 seconds of desktop preparation has gone away. XPerf – Analyzing the XPerf logs also pointed out issue with the “edocs Print Pro” software printer. I just can’t find the screenshots of my XPerf analysis anymore as this happened a while ago and I just couldn’t write about it on time. XPerf is a super cool tool to troubleshoot slow logon/boot up times alongside Citrix UPM logs. Autoruns does help to selectively stop all or some logon processes and thus should not be overlooked when troubleshooting long logon times. I will try to include more XPerf tracing and analysis in my future blog posts. I will talk to you in my next post. Time for another quick write-up. I was asked by one of my customers to enable Excel add ins for a selected bunch of users. These users need access to TM1 and SUN Financial plugins which are a bit slow to load so it doesn’t make sense to have this plugin available to all the users. The environment is based on XenApp 7.5 site with Windows Server 2008 R2 Hosted Shared desktops and apps. Microsoft Excel 2010 is the where the add in needs to be integrated. There might also be cases where the plugins need to be selectively removed from automatic launch in Excel and for that, the relevant registry keys could be removed via group policy preferences. Ever had to think about which user profile solution to buy when there are a multitude of solutions in the market? this little writeup by Mike Nelson will help you make the correct decision. Managing user profiles in VDI or RDS environments is challenging, but user profile management tools are here to help. Profile management packages from the major desktop virtualization vendors tend to be very robust and easy to use. Windows Active Directory comes with basic user profile management by default, and it is easy to use but not very functional. More advanced tools allow for a variety of settings, including multi-environment configurations, database back ends, intelligent profiling and much more. But there are also lesser-known tools out there — some of which are free — that always seem to come through in a pinch. In the list below, I have included extra notes for ones that I’ve used personally or seen put to use, but please refer to each vendor’s website for more information. Now, let us take a look at some great user profile management tools along with tips to keep those pesky profiles in line. AppSense Environment Manager. This tool is at the top of the product food chain. I have seen it used at a lot of shops, but it’s very complex and comes with some administrative overhead. RES Software Workspace Manager. This tool’s profile management piece is just a small part of a much larger product. It falls right in line with AppSense in terms of quality, administration and complexity for smaller shops. Workspace Manager is a widely used product with a large feature set. TriCerat Inc.’s SimplyProfiles. It is sold as a standalone product or as a component in TriCerat’s SimplifySuite. This application includes some cool technology called Profile Acceleration, which basically takes your profiles and virtualizes them. Immidio Flex+. This tool is one of the better user profile management options I have used. It’s easy to administrate, comes with good support, and it’s lightweight and doesn’t add a lot of complexity to the environment. Citrix Systems Inc.’s User Profile Management (UPM). This is included with XenApp and was previously called Sepago Profiler. It uses shared file locations and ADM files (as do many others), but it is basic and pretty much focused on XenApp and XenDesktop. Liquidware Labs Inc.’s ProfileUnity FlexApp. Many administrators say this is the most scalable user profile management tool. It manages more than 10,000 profiles in a single interface and includes application and patch management features. ForensiT Ltd.’s User Profile Manager. Simple and lightweight, this tool is geared more toward the small and medium-sized businesses market and has a basic feature set that will get most small shops by. Scense Live Profiles. I have not seen this tool in the wild yet, but it looks promising with low admin overhead and appears quite easy to use. VMware Inc.’s View Persona Management. Persona Management came with View 5 and is only for use with VMware View. DelProf2 by Helge Klien. This free tool is a de facto standard for user profile management with older Windows XP-based clients. (It does not work with Windows 7 or later.) DelProf2 deletes inactive user profiles, with additional filtering if necessary, and is usually set as a scheduled task on the server. Microsoft’s User Profile Hive Cleaner. If you’re still running remote or virtual desktops on Windows Server 2003 (or, God forbid, Server 2000), you need this tool. It installs as a service to clean up leftover profile matter after a user logs off. Server 2008 and later versions have it built in. ForensiT User Profile Wizard. This free profile migration tool quickly and easily migrates thousands of profiles from one domain to another. Sepago GmbH’s Profile Migrator. This is a trial offering with almost the same features as the ForensiT User Profile Wizard, but Sepago’s has a cost. The company also has another free tool, Profile Nurse, which performs registry and file operations across multiple or all profiles at one time. An example would be to add a registry key to a select group of profiles for one purpose, while adding a different key to others for the same purpose. TZWorks LLC “Yaru“. The product’s name stands for Yet Another Registry Utility (yaru). With this little utility, you can open profile registry hives and perform a multitude of tasks on them including reporting, export and forensics. It’s a staple in my admin toolbox. RegShot. A free, open source project, this tool allows you to take before and after snapshots of a user profile registry to see what the differences are. Scooter Software Inc.’s Beyond Compare. This is an awesome application that does more than just registry and file comparisons. I have used it a hundred different ways. Not only does it compare files, but it also compares complete directories, including users’ profile directories.